After a lot of trial and error experimentation, I'm excited to offer a new and inexpensive way to enjoy my artwork. 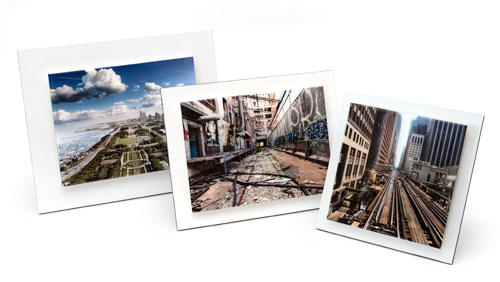 These small versions of my images are hand printed, then coated in a hard, 1/4" epoxy resin. The edges of the print are undercut and then the print is platform mounted to aluminum. This presentation makes the print appear to be floating in front of the white aluminum back board. The surface has a wonderful high-gloss finish and the color jumps off the paper. The hard resin coating protects the prints from scratches and the light weight means they can be easily hung on a wall or placed on a table/desk with the included easel back stand. 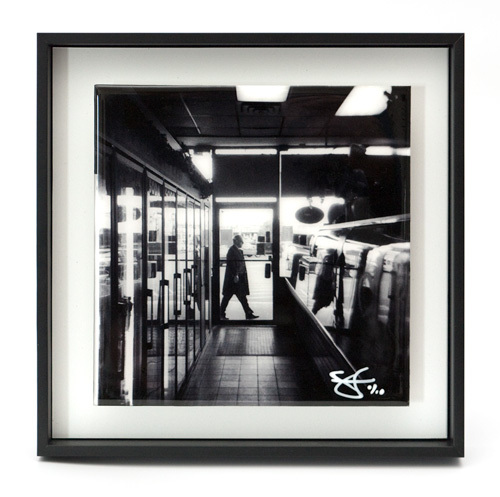 The Wantagh Deli print above was finished with a 1 1/4" wooden floater frame - this upgrade is available for $50. These prints range in size but are generally smaller than 8" x 10". I'm currently offering them in editions of 100. They make great gifts and office decorations!